On this week’s News You Almost Believed, it’s the usual suspects up to no good again. 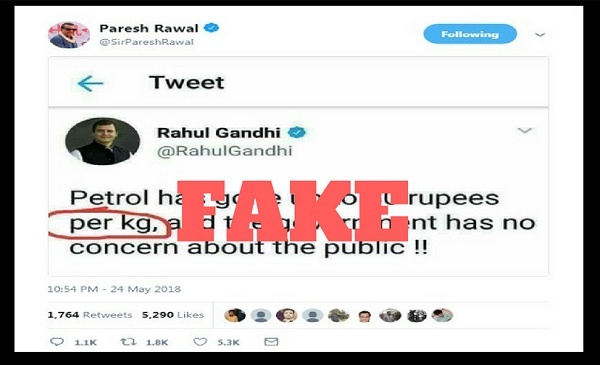 Actor and Member of Parliament Paresh Rawal who has gained notoriety for spreading and succumbing to fake news on Twitter, did it again on Thursday when he shared a photoshopped tweet of Congress President Rahul Gandhi. The photoshopped tweet where Gandhi allegedly used ‘kg’ instead of ‘litre’ while tweeting about petrol prices, backfired on the BJP MP as many pointed out that it was false. Despite many pointing out that the tweet is fake, Rawal has refused to delete it. Read the full story here. Ahead of last week’s floor test in the Karnataka assembly, the fake news brigade revived an old video of senior Congress leader DK Shivakumar having a verbal altercation with Deve Gowda’s elder son HD Revanna, a member of the Janata Dal (Secular). 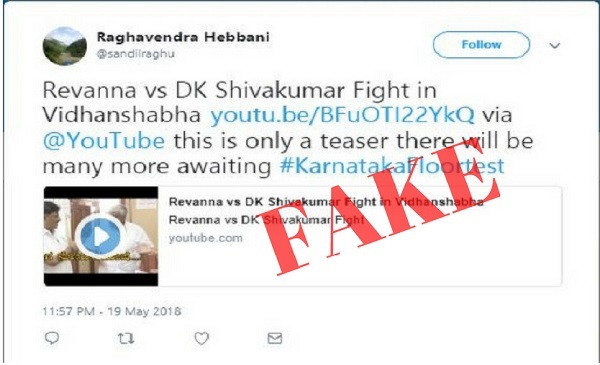 However, a fact-check revealed that the video dates back to 2016 and was reported on by BTV Kannada. Read the full story here. 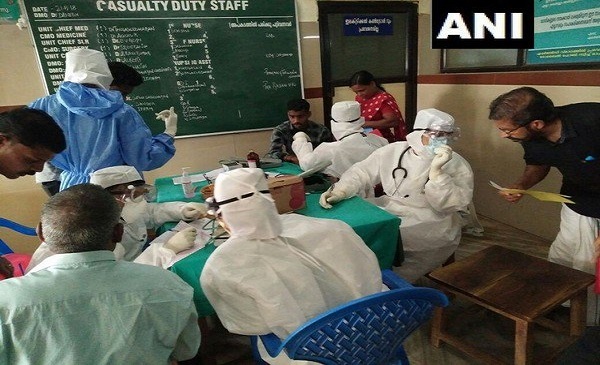 Ever since the outbreak of the deadly Nipah virus in Kerala, several spurious WhatsApp messages with half-baked facts and full fabrications are doing the rounds. Read more about it here. Rising petrol prices may be grounding some but there’s no stopping the fake news brigade. An image showing a mega gridlock is going viral as Germans mass protesting a fuel price hike. 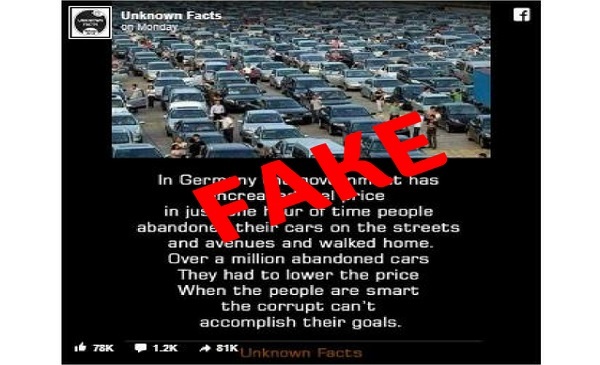 However, a fact-check revealed that the photo is actually from China and has no connection to fuel prices. Did you receive a message saying Jet Airways was offering two free tickets to every family to celebrate the carrier’s 25th anniversary? Sadly, there are no free lunches or free air tickets. The airline took to Twitter to alert its customers that they are not offering any official contest/giveaway and have advised them to exercise caution. 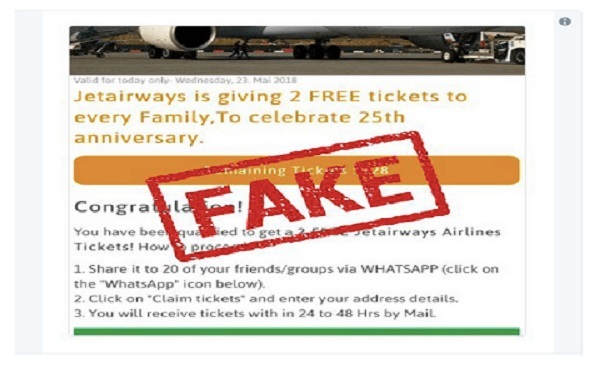 The fake free air tickets scheme has gone viral on WhatsApp and Facebook with a similar looking URL of the original Jet Airways site https://www.xn-jetarways-ypb.com. Only on closer look does it become clear that the URL does not have the alphabet ”i’ Read more about it here. 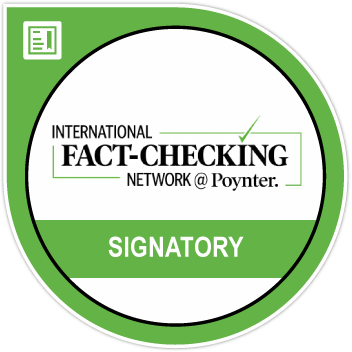 And you can watch BOOM’s Jency Jacob and Suyash Barve discuss all these stories on our show Fact vs Fiction.